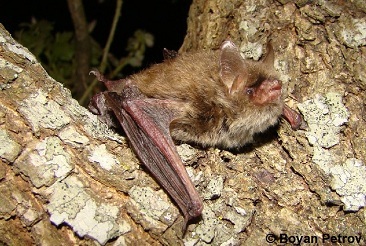 Considered to be one of the smallest Myotis, the Alcathoe Whiskered bat has a reddish brown dorsal fur and short, brown ears. It favours dense and humid deciduous forests with nearby water sources. Although knowledge on this species is scarce, M. alcathoe is a tree-dwelling species. 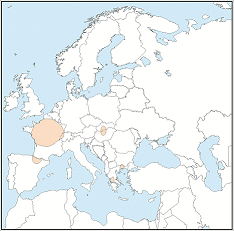 There is insufficient data on the species to establish a range; however, observations suggest that it may be endemic to central and southern Europe. Due to its habitat requirements, it is believed that damage to riparian forests and loss of tree roosts may be a threat in parts of range.